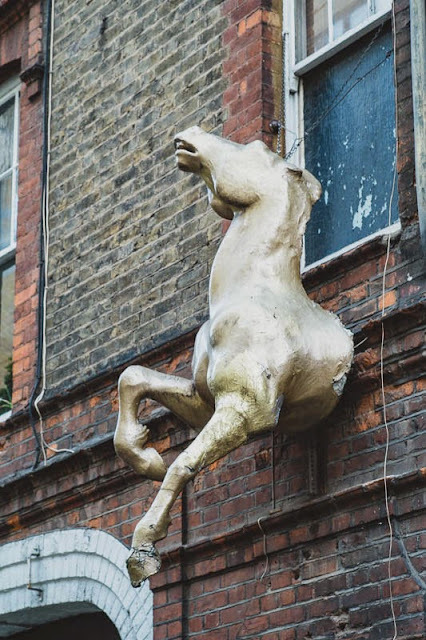 A golden horse leaping out of the wall caught my eye. A head-on shot would look great i think. Yup, that would catch my eye too! Oh, yes! I like it! Well spotted, a very nice shot..
Have a fascinating book from the library called 'LOOK UP LONDON' - lots of horses but not this one! !